You Want me to Follow the Recipe? I cook a lot. We usually eat at home at least six night as week, and my wife and I both take a lunch to work nearly every day. At least ninety percent of the time it’s me doing the cooking. I like it. It’s gratifying to create your own fuel and the positive reactions of others when you’ve done a good job are priceless. While I cook a lot I’m not great with recipes. I’ve been accused of being anti-measurement before. Definitely guilty. If it’s something I’ve really never made before I might follow the recipe the first time. Even then I usually adjust spices and amounts of ingredients on the fly, completely deaf to any words of protest, much to my wife’s chagrin. I still like cookbooks though. They’re great for inspiration and most of the time I’ll spend a lot of time looking at the pictures. Most of the time though I’ll cook one or two recipes out of them, and then they sit on the shelf. Looking good, but little more than eye candy and the occasional reference. That was before Well Fed came in the mail. Well Fed is primarily a book of recipes that strictly follow the paleo diet with a strong focus on broadening peoples’ global recipe repertoire. Melissa intentionally visits a breadth of regions with her food, crisscrossing the globe as she sees fit to put out delicious, easily made, recipes that are also really healthy. Since we purchased the book in January I’ve made more recipes out of this single book than any of our other cookbooks. (Even more than Joy of Cooking or the Ad Hoc at Home book, which I seriously love.) Each recipe has been great and worth following, but more than the individual (fantastic) recipes Melissa guides her reader to restructure their cooking to be more efficient. The Weekly Cookup concept is so logical and simple that I felt like an idiot for not having already thought of it, particularly my background cooking in professional kitchens. The short version is one day a week cook and prep a whole bunch of food, and then leisurely enjoy the fruits of your labor all week by easily reheating and re-blending your tasty ingredients into full meals. The whole concept is tied to running your home kitchen like a restaurant kitchen. If you prep your ingredients the actual cooking is faster. Need a quick weeknight meal? Take your pre-chopped cabbage, onions, and zucchini, throw them in a pan with some spices and a pre-cooked protein and enjoy awesome dinner in about fifteen minutes. Even if you’re not going to eat paleo full time this book is worth it. The pages on setting up your kitchen and the weekly cookup are worth the cover price alone. Normally I’d be completely satisfied just getting a couple good recipes from a book, but unlike most of the cookbooks we have (Relegated to a reference at best.) 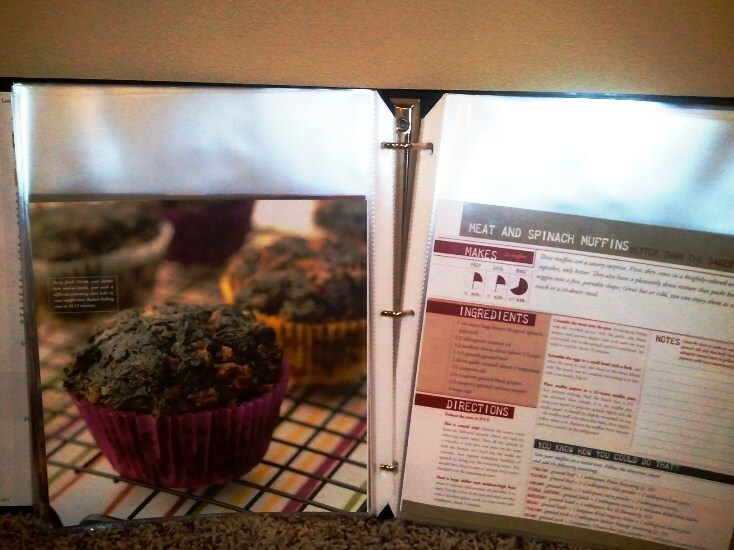 I’ve been using the book so much I thought it best rebuild the book as a binder with plastic pages to increase its durability and protect it from my abusive cooking style. We took a few days off. A few days off from eating healthy, a few days off from teaching, and a few days off from training. It was good. My wife and I both needed the time to unwind, sleep until we woke up naturally, and catch up on being relaxed human beings. Our favorite, repeatable, vacation spot is the Napa Valley. We’ve been there a few times and all you really need is a long weekend to make it worthwhile. Fantastic wine, great people, and some of the best food in the world. Top that off with mid-seventies and sun (in February) and it was a fantastic way to spend my birthday weekend. The exercise side of things pretty much consisted of a couple walks and a good amount of lacrosse ball mobility work. One day we made a small attempt at a bodyweight workout, but it didn’t really amount to much. Our goal was relaxation and that was very successful. All in all we had some great new wine, some great old wine, and ate at some brilliant new restaurants thanks to Dave Cruz of Ad Hoc. Richard Reddington is my new culinary hero for his tasting menu at Redd while Oenotri and the Fatted Calf are locked in a fight to the death for the trophy of best cured meat. The break was good. It was great to actually read a whole book, (Abraham Lincoln: Vampire Hunter. Review coming soon.) and I can’t say enough positive things about being out in the sun in shorts and a t-shirt in February. I was ready to come home though. We were feeling the side-affects of some non-paleo options (bread and wine) and my energy level was clearly indicating the need for a return to the gym. Sunday morning: gym and groceries. I opted for a “Deck of Cards” workout. Easy to plan, doesn’t require a whole lot of thought during the workout. I figured that with the couple days off I could up the intensity from my last “Deck of Cards” by swapping push-ups for burpees, and changing the jokers to be a few muscle ups. I didn’t count on drawing nothing but hearts and spades for the first fifteen cards or so. That meant by the time I started drawing diamonds it was pretty much all pull-ups all the time. When I hit the jokers (within five cards of each other) my arms were simply too shot for the muscle ups. Definitely harder than my last one, and longer as well. I always seem to forget that pull-ups get a heck of a lot harder when your core is fatigued from sit-ups. Grocery store was piles of protein and veggies for a Sunday cookup. Getting the week on track food-wise makes everything that much easier. All the planning and thinking of eating gets sorted in a single day, and I feel good dedicating some time to just cooking. 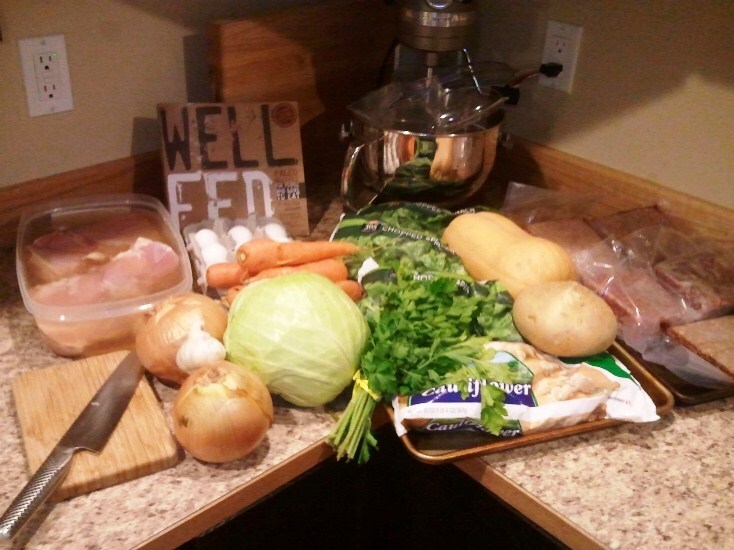 Continued thanks to Melissa Joulwan for changing how I think about cooking at home. Here’s to a good week of teaching nineteenth century economic theory, eating healthy food, and lifting heavy things.